„Superb entertainment package at a sensational price“, is the verdict of the German Car & HiFi magazine (issue 05/2018) about XZENT’s multimedia systems, awarding it the ‚Price tip‘ accolade. Launched in early summer, the two 2-DIN DAB+ infotainers X-422 and X-222 from multimedia specialist XZENT have now been thoroughly tested by the German Car & HiFi magazine in issue 05/2018. After an in-depth check out in a major test, both these systems were able to put up an all-round convincing performance. „Superb entertainment package at a sensational price“, is the verdict of the critical tech journalists on these new multimedia systems, awarding them the ‚Price tip‘ accolade to account for the outstanding price/performance. With the X-422 and X-222 there are two moniceivers on the test bench that are identical as far as features and design are concerned. The only difference is: With its integrated GPS receiver the X-422 can easily be upgraded to become a fully-fledged naviceiver. For 99 euros you get the navigation package for cars with Europe-wide 3D navigation on a microSD card. And for just under 200 euros there is the motorhome variant, which allows vehicle parameters such as vehicle height and weight to be entered as well as providing an additional camping POI database. „Together with the optional navigation software the XZENT X-422 forms a completely equipped infotainment system at a very attractive price“ say the Car & Hifi testers. The journalists are also convinced by the versatile media section of the two XZENT infotainers. Beside an FM tuner to receive classic radio programs, the systems are equipped with a DAB+ tuner that scored with the testers for „comfortable station search, Service Following and MOT Slideshow“. With two USB ports the moniceivers are well equipped for audio and video playback. Then there is the option for comfortable use of the mobile phone in the vehicle: „The devices also work together brilliantly with smartphones using a Bluetooth wireless connection to telephone and hear music.“ There is an HDMI interface for the connection of multimedia devices or mobile phones with an HDMI output. Car & HiFi particularly praise the ease of use of both systems, that have a large capacitive 6.5″/16.5 cm touchscreen together with a practical rotary volume control and sensor buttons: „The menus are clearly laid out, the touchscreen reacts promptly, and as a result overall control is smooth and intuitive“, according to the well-respected tech journalists. In conclusion, the testers attest to the versatile multimedia functions paired with ease of use and trouble-free in-vehicle integration of both systems, awarding them the ‚Price tip‘ accolade. XZENT is a young brand that is focused exclusively on the „In-car Navigation and Multimedia“ sector. XZENT is the specialist for multimedia and navigation systems. As regards build quality and the range of features XZENT moni- and naviceivers are second to none and, with their sensational price/performance, are convincing right down the line. XZENT products are now firmly established in the market – this is also demonstrated by the many awards and impressive test reports appearing in the trade press in recent years for XZENT devices. XZENT products are distributed worldwide exclusively through the extensive ACR AG dealer network, Europe’s largest car media specialists. Among the ACR dealers you will also find a large range of accessories for XZENT systems: rear-view cameras, DAB+ and DVB-T tuners, and monitors as well as speakers and amplifiers. Im Frühsommer auf den Markt gebracht, jetzt von der Zeitschrift Car & HiFi in Heft 05/2018 ausführlich getestet: die beiden 2-DIN DAB+ Infotainer X-422 (VK: 399.- Euro) und X-222 (VK: 299.- Euro) von Multimediaspezialist XZENT. In einem großen Test gründlich durchgecheckt, können die beiden Systeme rundum überzeugen. „Pralle Entertainment-Pakete zum sensationellen Kurs“, urteilen die kritischen Fachjournalisten über die neuen Multimediasysteme. Und zeichnen sie aufgrund des hervorragenden Preis/Leistungsverhältnisses mit dem Prädikat „Preistipp“ aus. Mit dem X-422 und X-222 stehen zwei Moniceiver auf dem Prüfstand, die von Ausstattung und Design her identisch sind. Einziger Unterschied: Mit seinem integrierten GPS-Empfänger lässt sich der X-422 einfach zum vollwertigen Naviceiver aufrüsten. Für 99 Euro erhält man das Navipaket für PKWs mit europaweiter 3-D Navigation auf micro-SD Karte, für knapp 200 Euro gibt es eine Reisemobilvariante, bei der sich Fahrzeugparameter wie Höhe oder Gewichts des Fahrzeugs eingeben lassen und eine zusätzliche Camping-Datenbank zur Verfügung steht. „Zusammen mit der optionalen Navigationssoftware bildet das XZENT X-422 ein komplett ausgestattetes Infotainment-System zu einem sehr günstigen Preis“, so die Car & HiFi Tester. Auch die vielfältige Mediasektion der beiden XZENT Infotainer kann die Fachjournalisten überzeugen. Außer einem UKW-Tuner zum Empfang „klassischer“ Radioprogramme, sind die Systeme mit einem DAB+ Tuner ausgestattet, der mit seiner „komfortablen Sendersuche, Service-Following und MOT-Slideshow“ bei den Testern punktet. Mit gleich zwei USB-Ports sind die Moniceiver zur Audio- und Videowiedergabe bestens gerüstet, dazu kommt die Möglichkeit, das Handy im Fahrzeug komfortabel zu nutzen: „Auch drahtlos arbeiten die Geräte vorbildlich mit Smartphones zusammen. Über Bluetooth kann telefoniert und Musik gehört werden.“ Über die HDMI-Schnittstelle lassen sich Multimediageräte oder Handys mit HDMI-Ausgang an die XZENTs anschließen. Vielfältige Multimediafunktionen gepaart mit einfacher Bedienbarkeit und problemloser Fahrzeugintegration attestieren die Tester den beiden Systemen abschließend und zeichnen sie mit dem Prädikat „Preistipp“ aus. XZENT ist eine innovative Marke, die sich exklusiv auf den Bereich „Navigation und Multimedia im Auto“ fokussiert. XZENT ist der Spezialist für Multimedia- und Navigationssysteme, die im Hinblick auf die Verarbeitung und den Funktionsumfang keinen Vergleich scheuen und mit ihrem sensationellen Preis/Leistungsverhältnis auf ganzer Linie überzeugen. XZENT-Produkte haben sich auf dem Markt mittlerweile fest etabliert – das zeigen auch die vielen Auszeichnungen und beeindruckenden Testberichte, die es von der Fachpresse in den letzten Jahren für XZENT-Geräte gab. 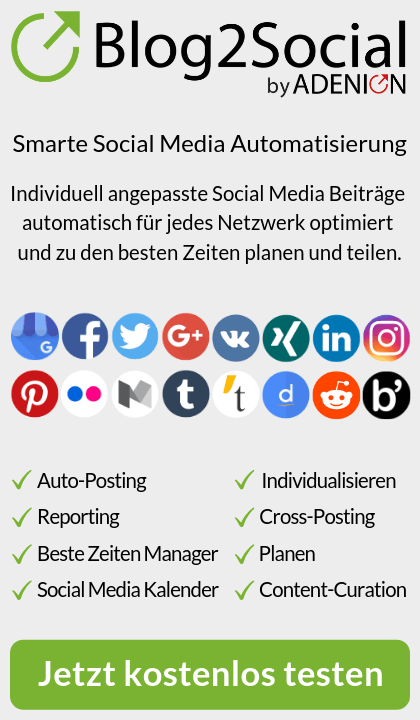 XZENT-Produkte werden weltweit exklusiv über das große Fachhändlernetz der Schweizer ACR AG, Europas größten Car-Media Spezialisten, vertrieben. Bei den ACR-Fachhändlern finden gibt es auch zahlreiche Zubehörkomponenten zu den XZENT-Systemen: Rückfahrkameras, DAB+ und DVB-T Tuner, Monitore sowie Lautsprecher oder Verstärker. The new infotainment benchmark for Golf V/VI and its relatives ZENEC’s multimedia navigation system for VW, Seat and Skoda is awarded the „Highlight“ accolade from Car&Hifi magazine (03/2018). In 2008 the Swiss car media specialist ZENEC launched the first vehicle-specific permanently installed navigation system in the E>GO range. Now in 2018 the E>GO is already in the fifth generation. The flagship of the new models, the Z-E2050 infotainer for Golf V and VI platforms, has been put through a tough test by the well-known Car & Hifi trade magazine in issue 03/2018. And with resounding success: „With the ZENEC Z-E2050 you get a brand-name device with first-class features and brilliant performance that is really easy to use at an amazingly good price“, is the verdict of the testers about the Z-E2050, awarding it the ‚Highlight‘ accolade. The latest ZENEC also integrates „perfectly with the VW on-board vehicle electronics“, according to the journalists. Depending on the original equipment of the vehicle, functions like steering wheel remote control, climate control, OPS parking radar, rear-view camera, and MFA+ are supported. ZENEC’s new brand-name device is a hit with the testers with its „extremely attractive price“ of 559 euros: „This puts the Z-E2050 almost at the price level of cheap Chinese imports, and that with a full guarantee and access to a well-known European distributor if servicing is needed“. Yet even without the navigation package you can use the ZENEC as a turn-by-turn sign post. „This is possible thanks to the SmartLink function“ say the trade journalists, „that allows any app, including navigation, of a connected Android phone to be used on the ZENEC display.“ This is done by simply connecting the Android phone to one of the two USB ports so that the apps can be controlled directly from the ZENEC. Intelligent retrofit: From XZENT there is now a versatile 2-DIN moniceiver that can be easily expanded into a sat nav system for cars or for motorhomes. XZENT has become one of the most successful brands in the car multimedia and navigation sector. With the X-422 XZENT now has a new 2-DIN DAB+ infotainer in its product range that not only impresses with modern entertainment functions, uncomplicated vehicle integration, and easy operation. The new XZENT is also an intelligent solution for those who want a versatile sat nav. With one of two navigation packages available as an option, the X-422 (retail price 399 euros) can easily be expanded to a well equipped naviceiver for cars (with X-MAP22FEU, retail price 99 euros) or motorhomes (with X-MAP22FEU-MH, retail price 199 euros). For multimedia playback the X-422 offers two USB ports supporting all the usual audio and video file formats. In addition, there is an HDMI interface for the connection of multimedia devices or smartphones with an HDMI output. The integrated DAB+ tuner with DAB Service Following, MOT Slideshow and DLS text ensures clear, stable digital radio reception. All functions can be comfortably controlled using the large capacitive 16.5 cm/6.5″ touchscreen with its four sensor buttons, and a practical volume control. The X-422 offers several options for using smartphones in the car in comfort – not just for making calls using the hands-free system or streaming music via Bluetooth. One of the two USB ports can also be used for connecting an Android smartphone. Via the Easy Connect function, apps installed on the Android smartphone including navigation apps can be mirrored on the display of the X-422 and controlled directly from the touchscreen. The second USB port provides for the connection of iOS based mobile devices, and supports the Made for iPod/iPhone functionality. If navigating via an app is not enough you can easily upgrade the X-422 to a fully-fledged naviceiver. For this XZENT provides two different navigation software packages on microSD card: the X-MAP22FEU for normal cars, and the X-MAP22FEU-MH for motorhomes. Both packages offer maps with coverage of 47 European countries, more than 6.5 million POI, realistic 3D rendering and Auto-Zoom, a lane assistant displaying freeway traffic signs, as well as free map updates for one year. The motorhome variant additionally has a camping POI package with 20,000 EU entries. To make navigation easier you can choose between different vehicle profiles. By setting the exact vehicle data such as height, width, length, and weight, routes can be precisely calculated, and unsuitable streets avoided. Mittlerweile gehört XZENT zu den erfolgreichsten Marken im Bereich In Car Multimedia und Navigation. Mit dem X-422 hat XZENT jetzt einen neuen 2-DIN DAB+ Infotainer im Programm, der nicht nur mit modernen Entertainmentfunktionen, unkomplizierter Fahrzeugintegration und einfacher Bedienbarkeit überzeugt. Auch für diejenigen, die ein vielseitiges Navi wollen, ist der neue XZENT eine intelligente Lösung: Mit einem der beiden optional erhältlichen Navipakete lässt sich der X-422 (VK-Preis 399.- Euro) einfach zum bestens ausgestatteten Naviceiver für PKWs (mit X-MAP22FEU, VK-Preis 99.- Euro) oder für Reisemobile (mit X-MAP22FEU-MH, VK-Preis 199.- Euro) erweitern. Zur Multimediawiedergabe bietet der X-422 gleich zwei USB-Ports, die alle üblichen Audio- und Videoformate unterstützen. Dazu kommt eine HDMI-Schnittstelle zum Anschluss von Multimediageräten oder Handys mit HDMI-Ausgang. Der integrierte DAB+ Tuner mit DAB-DAB Service Following, MOT Slideshow und DLS-Text sorgt für einen klaren, stabilen Digitalradioempfang. Alle Funktionen lassen sich bequem über den großen kapazitiven 16,5 cm/6,5″ Touchscreen mit seinen vier Sensortasten und den praktischen Lautstärkedrehregler bedienen. Der X-422 bietet vielfältige Möglichkeiten, Smartphones im Auto komfortabel zu nutzen – nicht nur zum Telefonieren über die Freisprecheinrichtung oder Musik streamen via Bluetooth. Einer der beiden USB-Ports kann man auch zum Anschluss von Android Smartphones nutzten. Über die Easy Connect Funktion lassen sich dann alle Handy Apps, inklusive der Navi-Apps, auf das Display des X-422 spiegeln und dort direkt via Touchscreen steuern. Der zweite USB-Port übernimmt den Anschluss von iOS basierten Mobilgeräten und unterstützt die Made for iPod/iPhone Funktionalität. Wem das Navigieren per App nicht reicht, der kann den X-422 einfach zum vollwertigen Naviceiver aufrüsten. Von XZENT gibt es dazu zwei verschiedene microSD-Karten mit unterschiedlichen Navipaketen: X-MAP22FEU für PKWs und X-MAP22FEU-MH, speziell für Reisemobile. Beide Pakete bieten Karten von 47 europäischen Ländern, mehr als 6,5 Millionen P.O.I., realistische 3-D Darstellungen und Auto-Zooms, einen Fahrspurassistenten mit Anzeige von Autobahn-Verkehrsschildern sowie kostenfreie Kartenupdates für ein Jahr. Die Reisemobil-Variante verfügt zusätzlich über ein Camping P.O.I. Paket mit 20.000 EU Sonderzielen. Um das Navigieren zu erleichtern, kann man zwischen verschiedenen Fahrzeugprofilen auswählen. Die Einstellung der genauen Fahrzeugdaten wie Höhe, Breite, Länge, Gewicht ermöglicht es, die Routen exakt zu berechnen und ungeeignete Straßen zu vermeiden. All entertainment options in a single device: with the X-222, XZENT has brought out a versatile 2-DIN DAB+ moniceiver for easy retrofitting at a reasonable price. Originally a hot tip, the XZENT moni- and naviceivers are now among the top sellers Europe-wide, and are awarded accolades by the trade press for their outstanding price/performance. With the X-222 (retail price 299 euros) XZENT has now brought out a new 2-DIN multimedia system. True to the slogan „high quality at an amazingly reasonable price“, the X-222 impresses with its great visual design, modern entertainment, uncomplicated in-car integration, and easy operation. That the X-222 is a really comfortable device to use, is revealed by the clear layout of the front, combining a large 16.5 cm/6.5″ touchscreen with four sensor buttons, and a practical volume control knob. The capacitive display reacts to just a light touch – a fingertip is enough. The strong brightness of the high resolution display, its crystal clear transparency, brilliant colors, and large contrast range ensure good readability even in difficult light conditions – a perfect platform for media content playback. Beside the receiver for the analog FM radio, the X-222 has a DAB+ tuner for digital radio enjoyment. Equipped with DAB Service Following, DLS text, and the display of slideshows, the outstanding reception and great ease of use of this tuner make it convincing. For multimedia playback the X-222 offers two USB ports supporting all the usual audio and video file formats, including FLAC and WAV. In addition, there is a microSD card reader and an HDMI interface for the connection of multimedia devices or smartphones with an HDMI output. With the powerful Bluetooth unit of the X-222 you can not only phone safely while on the move but also stream music in comfort. And it gets even better. Android smartphones can be connected to one of the USB ports. The Easy Connect function mirrors the smartphone apps, including sat nav apps, on the display of the X-222 so that they can then be comfortably controlled via touchscreen. The second USB port provides for the connection of iOS based mobile devices, and supports the Made for iPod/iPhone functionality. The X-222 has two RCA inputs for connecting two cameras (front/rear or rear/rear). A practical feature here is the CAM button at the front that enables a direct manual control access to the camera system. This enables you to quickly switch to the camera image when driving ahead. For optimal in-car integration the illumination of the four sensor buttons of the X-222 can be adjusted to match the color of the cockpit instrument illumination for the particular vehicle. Alle Unterhaltungsmöglichkeiten in einem Gerät – mit dem X-222 präsentiert XZENT einen 2-DIN DAB+ Moniceiver, mit dem sich Multimedia im Auto kostengünstig nachrüsten lässt. Als Geheimtipp gestartet, gehören XZENTs Moni- und Naviceivern mittlerweile europaweit zu den Topsellern und werden von der Fachpresse wegen ihres hervorragenden Preis/Leistungsverhältnisses immer wieder ausgezeichnet. Mit dem X-222 (VK-Preis 299.- Euro) bringt XZENT jetzt ein neues 2-DIN Multimediasystem auf den Markt. Nach dem Motto „hohe Qualität zum erstaunlich günstigen Preis“, überzeugt der X-222 mit toller Optik, modernem Entertainment, unkomplizierter Fahrzeugintegration und einfacher Bedienbarkeit. Dass der X-222 ein echtes Komfortgerät ist, verrät bereits die übersichtlich strukturierte Gerätefront, die einen großen 16,5 cm/6,5″ Touchscreen mit vier Sensortasten und einem praktischen Laustärkedrehregler kombiniert. Das kapazitive Display reagiert schon auf leichte Berührungen – ein Fingertipp genügt. Die starke Leuchtkraft des hochauflösenden Displays, seine glasklare Transparenz, die brillanten Farben und der hohe Kontrastumfang sorgen selbst bei schwierigeren Lichtverhältnissen für eine gute Ablesbarkeit – die perfekte Bühne für sämtliche Inhalte. Außer einem Empfänger für den analogen UKW-Rundfunk besitzt der X-222 einen DAB+ Tuner für Digitalradio-Genuss. Ausgestattet mit DAB-DAB Service Following, DLS-Text und der Anzeige von Slideshows, überzeugt der Tuner mit hervorragendem Empfang und großem Bedienkomfort. Zur Multimediawiedergabe bietet der X-222 gleich zwei USB-Ports, die alle üblichen Audio- und Videoformate unterstützen, inklusive FLAC und WAV. Dazu kommen ein microSD-Kartenleser und eine HDMI-Schnittstelle zum Anschluss von Multimediageräten oder Smartphones mit HDMI-Ausgang. Handys auch im Auto optimal nutzen? Mit der leistungsstarken Bluetootheinheit des X-222 kann man unterwegs nicht nur sicher telefonieren, sondern auch Musik bequem streamen. Doch es kommt noch besser. An einen der beiden USB-Ports können Android Smartphones angeschlossen werden. Der Clou: Über die Easy Connect Funktion werden die Handy Apps, inklusive der Navi-Apps, auf das Display des X-222 gespiegelt und lassen sich dann komfortabel via Touchscreen bedienen. Der X-222 verfügt über zwei Cinch-Eingänge zum Anschluss von zwei Kameras (front/rear oder rear/rear). Praktisch ist dabei die CAM-Taste an der Front, die einen direkten manuellen Zugriff auf das Kamerasystem ermöglicht. So kann man auch beim Vorwärtsfahren schnell auf das Kamerabild umschalten. Zur optimalen Fahrzeugintegration lässt sich die Beleuchtung der vier Sensortasten des X-222 an die Beleuchtungsfarbe der Cockpitinstrumente des jeweiligen Fahrzeugs anpassen. The very latest multimedia and infotainment technology on an impressively brilliant, extra large 8″/20.3 cm display for VW, Seat and Skoda – with the E>GO Z-E2050 the Swiss multimedia specialist ZENEC has set up another dazzling show of innovation. Building on ZENEC’s great experience, the new specialist device for VW is a system equipped with every refinement: consistent in-vehicle integration, the very latest in entertainment, uncompromising ease of use – in fact all-round innovative, and not just concerned with the smartphone interface. Perfect in-vehicle integration – as always with the ZENEC E>GO series. With its specific form of construction and button illumination that can be switched between red and white, the Z-E2050 – despite the huge 8″ display – fits tailor-made into the cockpit of diverse VW, SEAT and SKODA models (Golf 5 and Golf 6 platforms). Interfaced with the vehicle electronics via the CAN bus, it supports comfort functions like MFA/MFA+, multifunction steering wheel, and the display of OPS and Climatronic. Digital radio reception with first class audio quality – the integrated DAB+ twin tuner enables crystal clear listening enjoyment, and scores with a dynamic station list, MOT Slideshow and DLS text. Listen to your favorite music like at home, or watch great movies, for media playback the Z-E2050 has a CD/DVD drive, and two USB ports. With its extra large capacitive 8″/20.3 cm touchscreen, the new ZENEC E>GO infotainer provides not only optimal video enjoyment: thanks to the huge display and clear menus, operation of the Z-E2050 is also completely safe and intuitive. With the Z-E2050 you can use your smartphone in the car in comfort – for example to make calls with the hands-free system, or streaming music via Bluetooth. But that’s not all: The Smartlink Direct function opens up completely new possibilities for integrating Android based smartphones. While Google Android Auto supports only a limited selection of apps, Smartlink Direct allows any installed app to be shown on the display of the Z-E2050 so you can make use of them too. Simply dock the cellphone, and the smartphone screen will be mirrored on the user interface of the Z-E2050. Smartlink Direct allows direct control of the apps from the touchscreen of the Z-E2050 – naturally also sat nav apps. For VW drivers who do not want to just navigate per app but are looking for a versatile naviceiver, the new ZENEC is a clever solution: With the Z-EMAP50 sat nav package available as an option, the Z-E2050 can be upgraded to a navigation system with a full range of features. With detailed maps for 47 European countries, more than 6 million points of interest, 3D Auto-Zoom for junctions and roundabouts, and free map updates for one year, getting the latest navigation technology in your car is really very straightforward. Wie der Z-N326 kommt der neue ZENEC Z-N426 zunächst als ein Moniceiver ohne Navigationssoftware – für günstige 600 Euro im Handel erhältlich. Doch auch bei dieser „Basisversion“ muss man nicht auf Navigation verzichten. Denn während Apple CarPlay und Google Android Auto nur bestimmte Apps unterstützen, lässt sich mit dem Z-N426 jede App, also auch die Navigation eines gekoppelten Handys, auf dem Bildschirm des ZENEC nutzen. „Möglich wird dies durch die Smartlink-Funktion, mit der sich Smartphones sehr komfortabel mit dem Z-N426 koppeln lassen“, schwärmen die Tester von den innovativen Möglichkeiten der Smartphone-Integration. „Besonderes Lob erhält der Z-N426 für die in dieser Preisklasse weit überdurchschnittliche Ausstattung sowie für die sehr gute Bedienbarkeit“, urteilen die Tester weiter. Das ZENEC bietet einen Doppeltuner, der sowohl den analogen UKW-Rundfunk als auch das Digitalradio DAB+ empfängt. Telefone können per Bluetooth, HDMI, WiFi oder über den doppelten USB-Port auf der Rückseite gekoppelt werden. Via USB lassen sich selbstverständlich auch diverse Medien anschließen. Für Kameras stehen gleich zwei Eingänge zur Verfügung, so können Front- und Heckkamera angeschlossen werden. „Sowohl in unserem Messlabor als auch im praktischen Einsatz auf der Straße schlägt sich der ZENEC hervorragend“, lautet das Fazit der Tester. Dass ZENEC mit dem neuen 2-DIN System ein „großer Wurf“ gelungen ist, bekräftigen die Fachjournalisten abschließend mit der Auszeichnung des Z-N426 als „Best Product“. Der neue 2-DIN DAB+ Moniceiver bietet ein vielseitiges Unterhaltungsprogramm und ermöglicht eine umfassende Nutzung der Handyfunktionen im Auto. Unterwegs kommunizieren, Radio hören, Musik genießen – mit dem Z-N426 hat der Schweizer Multimediaspezialist ZENEC jetzt einen weiteren leistungsstarken Infotainer im Programm. Der Z-N426 bietet moderne Entertainmentfunktionen, ausgereifte DAB+ Empfangstechnologie, exzellente Klangqualität sowie ein Höchstmaß an Bedienkomfort. Doch nicht nur das: Dank Smartlink direct ermöglicht der Z-N426 eine komfortable Integration und Nutzung von Android und iOS basierten Smartphones. Aber auch für Autofahrer, die ein vielseitiges Navi suchen, ist der neue ZENEC eine clevere Lösung: Mit der separat erhältlichen microSDHC-Karte Z-N426-SDFEU lässt sich der Z-N426 zum Navigationssystem mit vollem Funktionsumfang erweitern. Während Apple CarPlay und Google Android Auto nur bestimmte, von Apple und Google ausgewählte Apps unterstützen, geht der Z-N426 einen Schritt weiter: Dank Smartlink direct kann jede installierte App auf dem Display des Infotainers dargestellt und somit genutzt werden. Einfach nur das Handy andocken, und schon wird der Smartphonebildschirm auf die Bedienoberfläche des Z-N426 gespiegelt. Bei Android basierten Handy ermöglicht Smartlink direct sogar eine direkte Steuerung der Apps über den Touchscreen des Z-N426 – selbstverständlich auch der Navi-Apps. Wem die Nutzung von Smartphone Navi-Apps nicht reicht, der kann den Z-N426 mit der separat erhältlichen microSDHC-Karte Z-N426-SDFEU zum High-End Naviceiver nachrüsten: Mit detailgenauen Karten für 47 europäische Länder, mehr als 6 Millionen Sonderzielen, 3-D Auto-Zoom für Kreuzungen/Verkehrskreisel und der kostenlosen Kartenaktualisierung für 1 Jahr bekommt man so unkompliziert und kostengünstig aktuellste Navigationstechnologie ins Auto. Die Kombination aus Z-N426 und Navisoftwarepaket ist eine perfekt abgestimmte Funktionseinheit mit diversen Vorteilen, z.B. Musikwiedergabe bei aktiver Routenführung oder Fortsetzung der Routenführung nach kurzen Stopps (Tanken). Der Z-N426 ist ein topmoderner Entertainer, der mit seiner Funktionsvielfalt überzeugt. Radioempfang mit überragender Soundqualität, dafür steht der integrierte DAB+ Twin-Tuner. Er sorgt für rauschfreien, kristallklaren Hörgenuss des digitalen Formats und punktet mit dynamischer Senderliste, MOT Slideshow und DLS-Text. Ein empfangsstarker UKW RDS Tuner ermöglicht hervorragenden Analog-Radioempfang – zum Beispiel in Gegenden, in denen bisher noch kein DAB ausgestrahlt wird. Der Z-N426 verfügt über zwei USB-Ports: Via USB dockt man nicht nur Smartphones an, sondern kann auch die unterschiedlichsten A/V-Formate von einem USB-Medium abspielen. Die umfangreiche Bluetootheinheit garantiert ein stressfreies Freisprechen, eine einfache Verwaltung der Kontaktfavoriten sowie ein komfortables A2DP Musikstreaming. Das Design des Z-N426 wurde rundum optimiert, um eines zu gewährleisten: Fahrsicherheit. Zugunsten der Bildschirmgröße sind die wichtigsten Funktionselemente auf eine ergonomische Tastenleiste reduziert, über die der Z-N426 während der Fahrt gezielt gesteuert wird. Ein großes kapazitives 6,8″/17,3 cm TFT Display mit Hochglanz-Glasfront sorgt für Klarheit und besten Kontrast und lässt sich dank der intuitiven Benutzeroberfläche jederzeit sicher bedienen.